Roses are #Red & Rosé is #Pink.. Thinking back a few years – the first time I really started appreciating this whole #daydreaming concept – was when I hopped on to an #AirFrance flight – my first flight ever actually – and landed in the South of France – Oh NICE!! – how #nice you were to me! The sun was shining – there were #palmtrees everywhere – #beaches and #bistros were close by – you could hear the horns of #scooters honking as they made it through every roundabout – it was really quite beautiful! So as I wait to see a sign held up with my name on it – a driver who was scheduled to pick me up – and and take me to the villa that I would be staying in – I decide to sit down right outside this cute chic airport – and catch a little bit of that amazing breeze that kept coming in – something I ‘caught wind of’ while I was picking up my baggage! While I sat outside just soaking in the experience – I really started to #DayDream – I started to envision what the next couple of months would be like – I started thinking about everything that made me happy – all the things that I wanted to accomplish in my life – all the things I wanted to try while I was there – just so much on the go – endless thoughts and endless things to get excited about! I very quickly started to feel that general ‘weight’ that sits on your shoulders – just lift off so effortlessly – things started to ‘really’ get clear – everything made ‘total sense’ and there was no doubt in my mind that I was in the right place at the right time. I felt like I was floating and really just bouncing from one thought to the next – from cloud to cloud – dream to dream – happy thought to happy thought – nothing quite so heavenly! This is when I really started to understand what ‘daydreaming’ was really all about – I finally started to grasp what the #french always spoke about – I thought to myself – this #daydreaming here … it must be a part of that #joiedevivre that is talked about so often! From DayDreaming to Virtual #DayDream -ing! 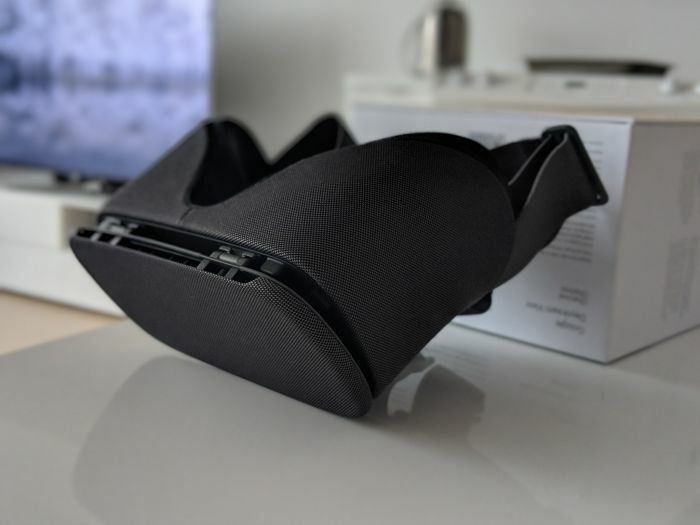 Daydream is Google’s Mobile Virtual Reality Software platform … and all it takes to go from DayDreaming to Virtual #DayDream -ing is an awesome @Google #DayDream headset … teamed up with my @Google Pixel 2 phone and voila – enter into a new world of fun … fabulous 360° experiences! #VirtualReality is literally the “future” … in my mind – it’s incredible how great it is that you can experience pretty much anything in the virtual world. With all of the advancements in technology that we continue to see – come continued improvements in quality of our lives – particularly where the elderly are concerned. There are more and more articles that suggest the importance of having ‘company’ in your life – a ‘purpose’ – someone to ‘talk to’ – something to keep you active and engaged – so as to live a more fulfilled life! 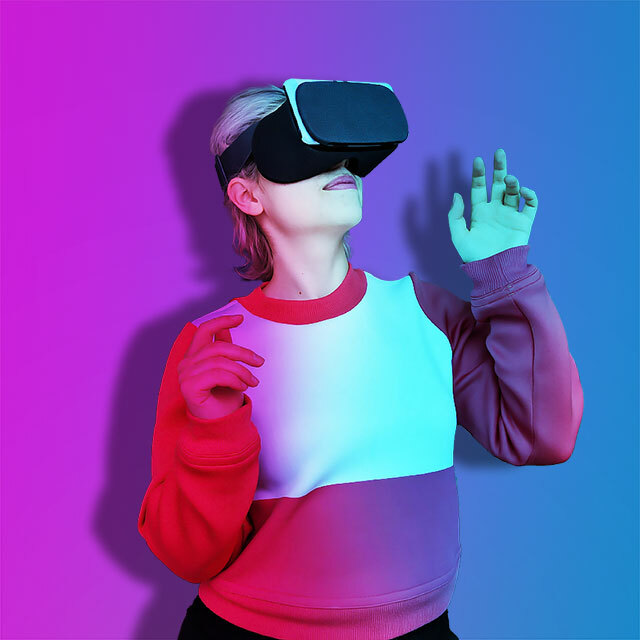 This access we now have to #VirtualReality – to another ‘world’ that allows us to ‘escape’ and ‘experience’ for a bit – will really help combat so much of that which is ‘missing’ in our lives. Now Let’s Get A Little Techy! 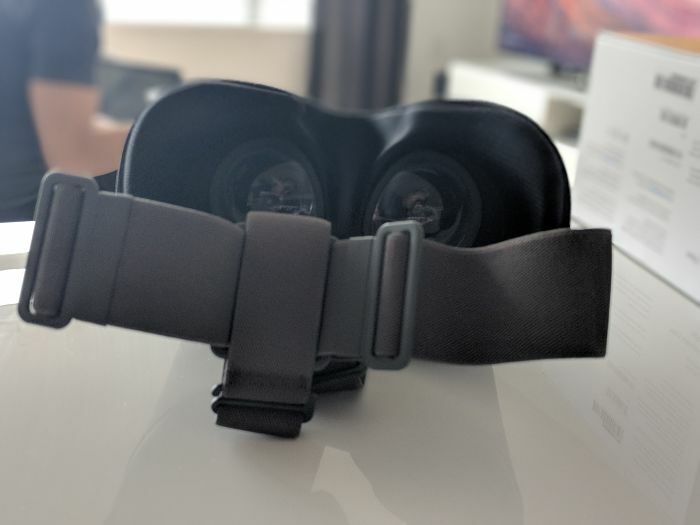 When testing out this product and take a deeper dive into the whole experience – there were a couple of things that I loved! 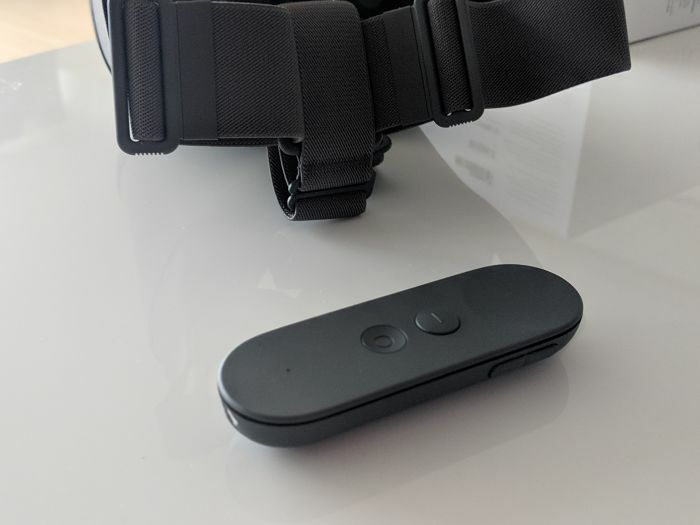 For one – the controller was literally one of the best that I’ve ever used – it pairs up via Bluetooth – super fand fits right into the back of the headstrap – when you’re not using it – so definitely super #convenient – and it keeps things all in place! It’s used for practically everything – not only can it be mirrored virtually – but it also allows you to sift through menus easily and allows you to control those lovely #Avatars that enhance our experience! There are a ton of free games and content to download! Some of the apps and games you have to purchase.